This pretty wish charm bracelet is hand made in the studio with sterling silver charms, a beautiful gift box and wish poem. 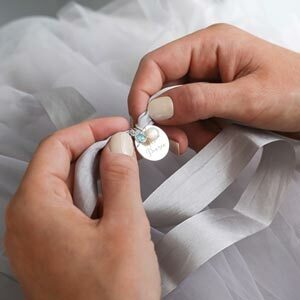 To accompany your bracelet please chose a card from the selection which cover a wide variety of special ocassions. 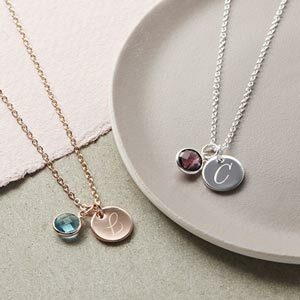 Also, why not personalise your item with beautiful hand stamped sterling silver letter and number charms, to make your gift that extra bit special. The hand stamped charms are prepared here in the studio. The silk cord comes in Dove Grey, Buff Pink, Powder Blue, Black, Citrus Yellow, Mustard Yellow, Midnight Blue and Blush Pink. All wish bracelets are fastened with a knot. The wish charms are solid sterling silver on a silk thread bracelet. The initial charms are sterling silver or rose gold plated brass.